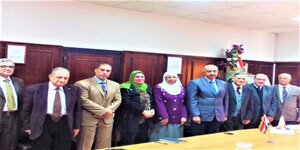 Within the framework of the constant endeavours made by the faculty of Engineering to promote cooperation between academia and labour market, a delegation, headed by Prof. Mohamed Gaber Abou Ali, the Dean of the faculty of Engineering, paid a visit to the New and Renewable Energy Authority (NREA) which is affiliated to the Ministry of Electricity and Renewable Energy on Monday,24 December 2018. 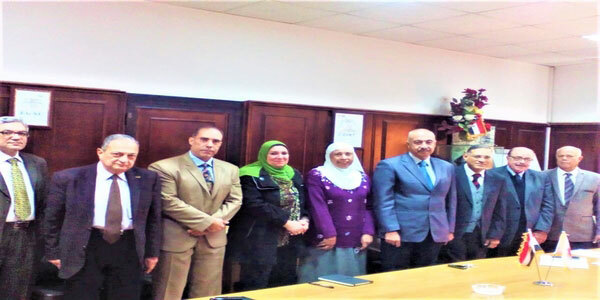 This visit was considered the first after the cooperation protocol signed between the NREA and Pharos University on the 6th of November 2018. The delegation was received by Dr. Mohamed Mostafa Al Khaiat, the Managing Director; Eng. Azza Mohamed Tawfiq, the Training Manager and Eng. Amgad Mohamed Al Howyehy, a chief engineer, among other major members of NREA. 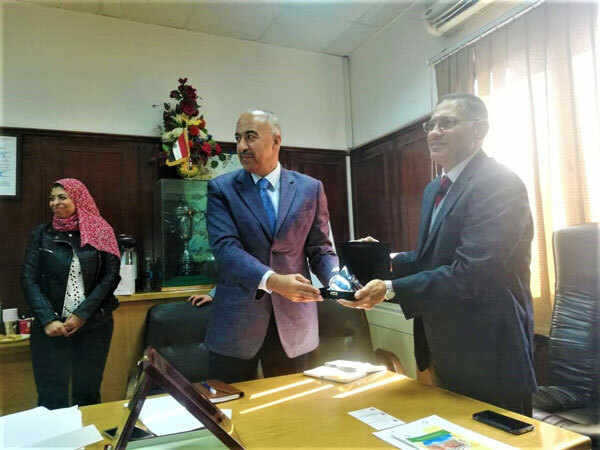 During the visit, the two parties exchanged ideas about how to put the signed protocol into force and promote cooperation between the two institutions in many activities like providing training for PUA students and facilitating researches. The delegation was also apprised of the results of the tests conducted by the NREA laboratories. By the end of the visit, the two parties exchanged plaques in celebration of this cooperation.